To understand the role of antioxidants in the body, one must first understand oxidation and to the same extent oxidative stress. Every bodily function requires oxygen in varying degrees and oxidation occurs as a result of normal respiration. As we know, oxygen is so essential to life that the human body won’t survive much beyond three minutes without it. Yet, the process of oxygenation plays a role in the breakdown of our body’s functionality, potentially damaging cellular proteins, lipids and DNA. This occurs when oxygen interacts with certain molecules, creating cell damaging, highly reactive and unstable free oxygen radicals. 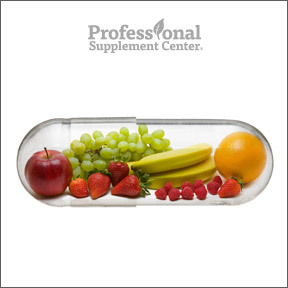 While the body produces important antioxidants to combat cell damage, oxidative stress occurs when the production of free radicals goes beyond the body’s protective mechanisms, creating an imbalance between pro-oxidants and antioxidants. While the body does require some free radical cells for cell signaling and immune defense, high levels of free radicals can lead to dysfunction and disease. In addition to oxidation, free radicals can be the result of poor nutrition, chronic stress, cigarette smoke, alcohol consumption, inflammation, environmental pollutants, x-rays, heavy metals and sunlight exposure. 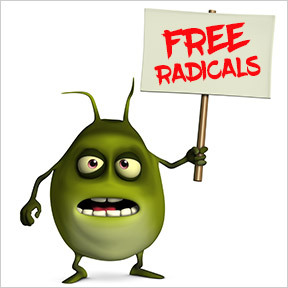 Once formed, these free radicals begin plundering and pillaging from other normal healthy cells in their quest to find electrons and become “whole.” When free radicals react with important cellular components, such as DNA or the cell membrane, cells begin to function poorly and die. Free radical damage is implicated in the aging process, as well as the development of other chronic diseases, including the formation of certain cancers, Alzheimer’s, heart disease, cataracts and other age related chronic illnesses. Thus, the importance of antioxidants in keeping our bodies in balance and toxin free. 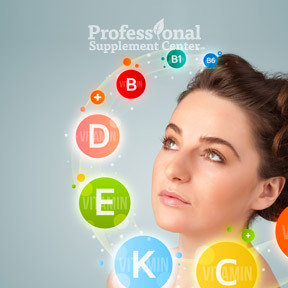 Produced by the body and obtained through food and supplements, antioxidants provide critical defense by becoming oxidized: meaning they donate electrons to stabilize and neutralize free radicals without becoming damaged themselves. Bruce Ames, a biochemist at the University of California at Berkeley, estimates that every cell endures 10,000 oxidative hits each day from errant free radicals and most are immediately repaired, as the body has evolved a broad spectrum of protective responses to combat free radical damage. Those wishing to increase their intake of antioxidants should be sure to eat healthy servings of rainbow colored fruits and vegetables daily, as plants have evolved to produce nutrients that counteract the oxidative stress they endure as a result of photosynthesis. Those who need just one more reason to get off the couch for daily exercise should note that although exercise causes oxidative stress, those who exercise regularly become highly efficient at detoxifying free radicals, offsetting the free radicals generated. Occasional exercisers and weekend warriors beware. Chemist Richard G. Cutler of the Gerontology Research Center of the National Institute of Aging suggests “weekend exercising may be as bad for you as binge sunbathing.” Regular exercise builds up a protection against oxidative stress, while weekend or occasional exercise may actually accelerate the aging process. Glutathione, sometimes called “the Mother of all antioxidants,” is a master detoxifier, critical immune system supporter and antioxidant recycler. While glutathione is produced by the body, it’s easily depleted by stress, medications, pollution, poor diet, aging, illness and radiation. People with chronic diseases, such as diabetes, arthritis, heart disease, Alzheimer’s and autoimmune diseases are often found to be deficient in glutathione. Unsurprisingly, our ability to produce and maintain a high level of glutathione is critical to preventing disease and maintaining optimal health. 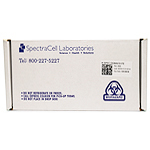 Glutathione has been shown to support peak mental and physical functions. Healthy levels of glutathione help to increase strength and endurance, decrease muscle damage and reduce exercise recovery time. According to Mark Hyman, M.D., you can optimize your glutathione levels by consuming sulfur-rich foods, exercising 30 minutes each day, and supplementing with selenium, alpha lipoic acid, milk thistle and vitamins A, C and E, which work together to recycle glutathione. AntiOxidant Formula by Pure Encapsulations – This synergistic, broad spectrum formula offers a range of antioxidant nutrients to promote cellular health and enhance the body’s natural defense system against free radicals. Gluten and soy free, Non-GMO formulation. BioProtect by Biotics Research – This natural antioxidant formula supplies antioxidant vitamins, minerals, CoQ10 and amino acids for broad spectrum support against free radical damage and oxidative stress. Gluten free. Liposomal Glutathione by Empirical Labs – This all natural liposomal reduced glutathione formula provides 500 mg of the most potent and versatile antioxidant delivered in a scientifically studied method for maximum absorption. Non-GMO formulation. S-Acetyl Glutathione Synergy by Designs for Health – This product supplies 200 mg of an acetylated form of glutathione for optimal absorption and bioavailability. Gluten free, Non-GMO vegetarian formulation. Liposomal Glutathione by Pure Encapsulations – This product offers support for cellular function, homeostasis, and free radical protection with a highly absorbable form of liposomal glutathione. Non-GMO formulation.